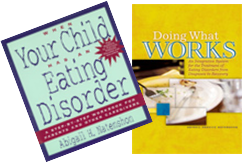 Feeding and picky eating problems are real; they are hard-wired and neurological. Their far-reaching effects are nutritional, interpersonal, behavioral and developmental, altering the sense of self and self-esteem, family relations, sociability, as well as academic and professional performance. Feeding problems in children typically go undetected, and/or are mistaken for the more benign picky (preference) eating behaviors. Adding to the ambiguity of diagnosing these problems, by the time problem feeders reach adulthood, the diagnostic terminology describing feeding problems reverts back to being called "adult picky eating." (see PickyEatingAdults.com). Problem feeders describe the one out of twenty children between the ages of birth and 10 who refuse to eat or who will only eat limited numbers of selected foods. Children with feeding disorders (as well as picky eaters to a lesser degree) tend to demonstrate clusters of traits that indicate a broader, more pervasive, neurologically based dysfunction. (Natenshon, 2009 P. 134) Also known as perseverant feeding problems, or food neo-phobia, these problems are characterized by a strong fear of trying new foods, leaving its victims at risk for malnutrition and failure to grow normally. Problem feeders tend to demonstrate diverse clusters of traits, covering a spectrum of broader, more pervasive, neurologically-based dysfunctions which compromise the person's existence; these might include sensory integration disorder (SID), Asperger's syndrome, Non-Verbal Learning Disability (NVLD), and/or Pervasive Developmental Disorder (PDD) and include such symptoms as choking, gagging, vomiting, difficulty swallowing, etc. Individuals suffering these disturbances in early life in many instances carry varying degrees of pathology with them into their adult years. 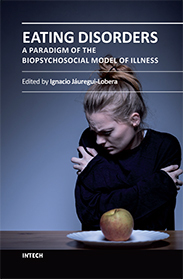 Harnessed with restrictions, compulsions, fears and limitations in their relationship with food, children and adults find themselves feeling like pariahs and societal outcasts, alone, isolated and seriously misunderstood, not only by loved ones, but by the vast majority of health professionals as well. Generally perceived as stubborn, inflexible, obstinate and unadventurous, their behaviors dictate that they deny themselves more than nourishment; adult as well as child picky eaters miss out on so many of life's pleasures…the sociability, recreation, celebration and self-care that is so much part of feeding oneself. The achievement of developmental/emotional milestones, as well as the opportunity and emotional capacity to use them to adjust to life, to newness and the anxiety of uncertainty may be forfeited as a result of these problems. One adult picky eater describes having trouble with tolerating variations in her foods. She says, "…there are a lot of processed foods, like hot dogs, macaroni and cheese, rice, and others, where I can really tell the difference between brands. I only like Kraft Mac and Cheese and only Ball Park hot dogs, for example. I'm finally able to tolerate Ball Park hot dogs that aren't 100% beef; I used to insist on all-beef Ball Park hot dogs. If the store didn't have them specifically, I'd rather go without." She goes on to describe her fear about what might happen if and when her boyfriend tries to make Campbell's Tomato Soup with water rather than milk (Campbell's Tomato Soup and milk is one of her favorite foods.). She admits that she hasn't had the soup in the three years since having moved in with him because she is worried about how her palate would react to the soup being made with water. It is significant to note that rather than taking the risk of experiencing the event and challenging herself to deal with it, she opts for total abstinence, choosing to avoid altogether the possibility of experiencing discomfort that she does not trust herself to handle and survive. Note that manipulating one's environment in lieu of making emotional demands on the self to accommodate and cope with challenges is also the preferred choice of those afflicted with the clinical eating disorders, such as anorexia nervosa and bulimia nervosa. This picky eating adult goes on to exclaim, "Oh, and for me its not so much about the taste being different, but if the texture varies even slightly from what I'm used to, I find it very hard to tolerate." She describes throwing out a whole pot of rice recently because it was mushier than she could tolerate. Another picky eater describes his fear of tasting new foods. "You just know that it's going to taste bad before you put it in your mouth. I really have to be "ready" to try something new, to work up to it. I cannot try something on the spur of the moment. This is even worse when I am out in public. Variations on things I already eat aren't that bad, but something completely new…Don't even go there!" In contrast, a medical doctor who is, and was, a picky eater as a child, recommends that parents of picky eaters "…do as my parents wisely did. Give the child a vitamin pill and let her grow out of it. Too much attention could make it worse and lead to an eating disorder." Describing her continued preference today for sugary, fatty and bland foods, she still gravitates towards hotdogs, hamburgers, chicken nuggets, French fries, and ice cream and has only learned to eat vegetables as an adult. She claims that her eating preferences have in no way compromised her daily existence or professional function, which is not the norm with such cases. People with SID benefit from systematic desensitization programs offering short exposures to new textures and oral sensations in small, incremental doses. This requires the investment of time, initiative, and creative thinking, with the goal of introducing new foods that are similar to those he already likes and is accustomed to. The feeding team may alternately choose to reduce the demands for varied eating, and focus on other ways to maintain a healthy diet… Parents are wise to utilize supplements and vitamins to achieve maximum nutritional balance. Individuals whose systems are continually in the "alert mode" have difficulty calming themselves; they need the right atmosphere for eating, so that mealtimes become pleasant, fun and stress-free social experiences. It is critical that there is no TV at mealtimes, lots of talk, and no threatening food discussions or forcing of foods. People need to make friends with food by exploring and handling food, in many contexts and through all of the tactile senses. Techniques for stimulating/exercising the tongue diminish the gag reflex. The side of the tongue, rather than the tip, is less sensitive to strange new tastes and is the best place to introduce new foods. Carolyn Black Becker of Trinity University in San Antonio, Texas describes a treatment technique that she calls "food chaining." This involves "chaining" off the foods the child is willing to eat, and limiting availability to the child's favorite and most nutritious foods. Working within the context in small leaps, child and therapist search out increased numbers of barely acceptable foods, which became progressively more acceptable as the person eats more of them. As an example, pizza is a good food to chain off; pizza could be expanded to a grilled cheese by creating a pizza sandwich, by toasting mozzarella cheese and pizza sauce instead of a more flavorful cheese. Or, by having hot pizza sauce served in a cup next to a child's mac and cheese, he could be encouraged to dip occasional bites of mac and cheese into the sauce, expanding his taste combinations. The Anat Baniel Method for Children Based on the work of Dr. Moshe Feldenkrais. This mind/body holistic approach to treatment accesses, reorganizes and integrates the central nervous system, creating an empowered, more integrated perception of the self, improved integration of sensory processing, and ne potential for possibilities of neurological change. It does so experientially, bypassing the area of the brain that relies on language alone to facilitate learning. Thus, the technique is designed and well-suited for children as young as the new-born, a boon to the pre-mature population of babies who may be the most prone to developing these types of feeding difficulties. Through gentle and pleasurable movement, and during play, the technique integrates mind and body, reduces anxiety, and increases self confidence and enhanced well-being. Kids access the gentle movements through song and play, as well as through one-on-one work with a skilled practitioner. Adults enjoy the option of one-on-one treatment or attending Awareness through Movement@ or Functional Synthesis © classes that are available through private practitioners of the Feldenkrasi Method or the Anat Baniel Method based on the work of Moshe Feldenkrais. Such classes are typically offered through fitness clubs, community centers, and park district programs. By facilitating self- and body-awareness, Feldenkrais techniques promote emotional versatility and integration. Offering a novel opportunity to seek and discover alternative solutions, it enhances coping skills and adept problem-solving, upgrading all aspects of physical and mental function. Click here for more information on the Feldenkrais Method in the treatment of eating disorders. Initially, the place to go for help with these disorders may best be a properly trained occupational therapist, rather than a psychotherapist or medical doctor. Having said this, it goes without saying that there is certainly a place, and the need for, a multi-disciplinary team approach to serving the multi-dimensional, integrative needs of the eating dysfunctional child and family. The professional team optimally includes a pediatrician or internist, psychologist, occupational therapist, speech pathologist, dietician and physical therapist, capable of assessing and meeting the needs of the whole person, and all the issues, not just their own area of specialization. Because these are disorders of the central nervous system, we have noted how Feldenkrais and Baniel work can be ameliorative of the problem at its very soured. The work of the individual and family psychotherapist is important in helping the individual and family to deal with the social and emotional implications for the patient as well as loved ones. Once diagnosed, young adult students with tactile/sensory problems can and should be supported by community resources such as the school or university, through educational and personal accommodations. Examples might include use of laptop computers to accommodate poor fine motor problems, shorter writing assignments, longer times for test taking, or special dispensation if the child is unable to wield a pencil sufficiently to complete an art assignment to satisfaction, or eat in the lunch room or dining hall. Despite ambiguity, misdiagnosis and a serious lack of understanding in the professional health community, in understanding that many of these problems in adults are neurologically based and hard wired into the central nervous system gives sufferers reason to be optimistic about healing. Increasingly, holistic approaches to healing food related problems have been shown to have ameliorative effects on body awareness and on neurologically based sensory changes. Challenging one's self to take risks with food, or with new behaviors in other life spheres can be a wonderful way to create new behavioral inroads along with new neuro-pathways in the neuro-plastic brain. Should there be a "cure," there will certainly be no quick fixes. Treatment will invariably be challenging and involve discomfort and risk-taking, albeit in a controlled environment. Problems are so much easier to treat early on, before they have become too deeply rooted. Curative interventions not only provide the opportunity and vehicle for making changes, but is so doing, reassure the afflicted individual that he or she is not "crazy," not alone, and not so misunderstood after all. 1. Lask and Bryant-Waugh: Anorexia Nervosa and Related Eating Disorders in Childhood and Adolescence. Psychology Press 2000. 4. Marcontell, D.K., Laster, A.E., & Johnson, J. (2002). Cognitive-behavioral treatment of food neophobia in adults, Journal of Anxiety Disorders, 16, 341-349. 5. Nicholls, D., Christie, D., Randall, L., & Lask, B. (2001). Selective eating: symptom, disorder or normal variant? Clinical Child Psychology and Psychiatry, 6, 257-270.